Three quarter sleeves natural fur coat with polar fox fur, black color, combined with natural raccoon fur or silver fox fur, for women. This coat is most suitable for the special occasions that you wish to participate. 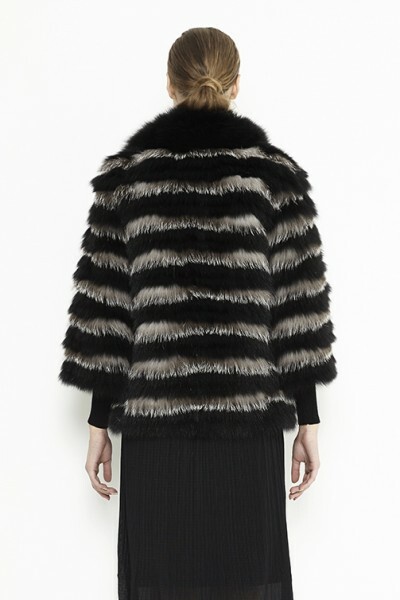 The exterior of the coat is made of horizontal strips that are carefully sewn and the interior is padded. The collar of the coat is made from polar fox fur, having the effect of a highly elegant look. Closing of the coat is done through the 'hook-and-eye' system, which is very easy to use. 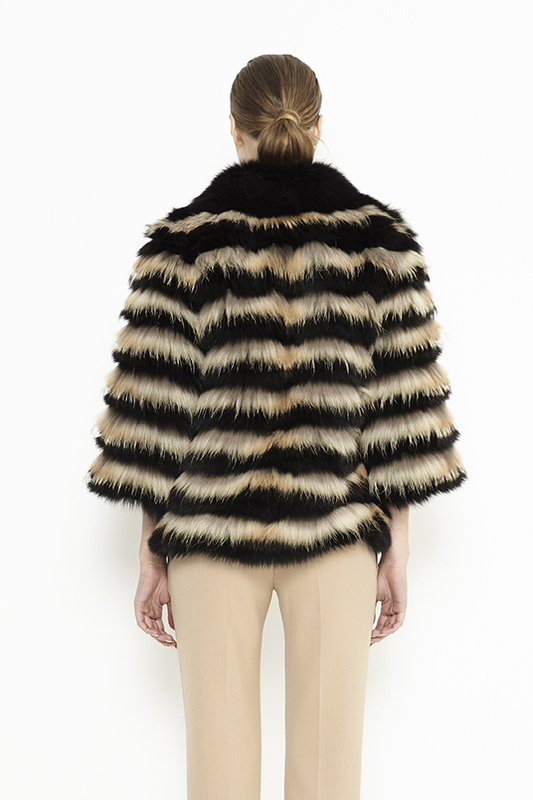 The colors available for this fur coat are silver and beige.